Merry Christmas, readers and moviegoers. Likewise, The Lord of the Rings as great literature cannot be defiled by merchandising or movies, unless you let it. Tolkien’s beloved saga will remain one of the most influential, and probably the most popular fantasy story ever written for a long time to come, and no matter what moviemakers leave out, no matter what shows up on a collectible Burger King glass, nobody can rob the books of their language, which is their greatest strength. But, for better or worse, the film series has begun, and it’s time to determine how they stand as adaptations, as entertainment, and as art. With an allowance of more than $250 million from New Line Studio, Peter Jackson set out to turn his New Zealand home into a Middle Earth playground. For two years he and a crew of committed filmmakers and actors ran around the mountains, forests, and the valleys. With two sequels scheduled for Christmas 2002 and 2003, the first in their film trilogy has arrived at last in theatres. And it has most critics groping for superlatives. In the early days of the world, when different races filled the forests, mountains, and valleys, a simple, peace-loving people called Hobbits (or “Halflings”, for their short stature) lived in an idyllic farming country called The Shire. This brings Gandalf the wizard back to the Shire, where he sets in motion a desperate quest to destroy the ring, and Bilbo’s younger, stronger nephew Frodo must carry the ring all the way to Sauron’s land of Mordor to throw the ring in the fires of the great volcano Mount Doom. It’s not an easy prospect, but it’s the only way to ensure that the ring will never fall into Sauron’s hands again. Now, keep in mind, a movie requires different things than a book. The changes made by screenwriters Fran Walsh and Phillipa Boyens are bold, so bold as even to introduce new scenes and to eliminate quite a few characters. Undoubtedly this will ruffle the feathers of those who love the books. But for those who are new to Tolkien’s world, Jackson has had pity on them, and has trimmed things down so each book can fit within a three hour time span. Which would you prefer-a frantic, hurried, overcrowded version that stays faithful to every detail but doesn’t let you enjoy the ride? Or an abridged version, a picture book, that streamlines the story so that the movie has rhythm, music, places where you can catch your breath and think about things? As it is, the finished product is rather hurried and frantic. And there are things that don’t work. If anything, Jackson might have needed to trim even more. The film does come up short on several points, but those are minor problems. Overall, Peter Jackson and Company for doing a better job than fans ever thought possible. These characters — Bilbo, Gandalf, Frodo, Sam — are so well developed in the books that I love them like friends. I remember more specific details from Bilbo and Frodo Baggins’ journeys than I do about my childhood. Tolkien gave me strong metaphors for the battlegrounds of my life and my heart, for the forces in conflict that are described in Ephesians 6:12. I have revisited the trilogy every few years. This predisposes me to be extremely suspicious of any big screen adaptation, and I approached the film with knots in my stomach, worried that the filmmakers would spoil the aspects I loved best. Thus, I am overjoyed to report that The Fellowship of the Ring is the most ambitious, engaging, and detailed fantasy film ever to reach the big screen. For this viewer, there hasn’t been an adventure movie this riveting and exhaustingly good since Raiders of the Lost Ark. A new standard has been set for special effects, for acting in a fantasy film, for musical score, and for literary adaptation. Best of all, it demonstrates that the filmmakers have shown great respect for their source material. I was moved by Peter Jackson’s passionate, caring, and human portrayals of these characters and dramas. This may not happen to you. But I’ve imagined these scenes my whole life, and to see them portrayed as vividly, or more vividly than I have imagined, really shook me. I felt like I was meeting in person someone with whom I had only corresponded long distance for decades. 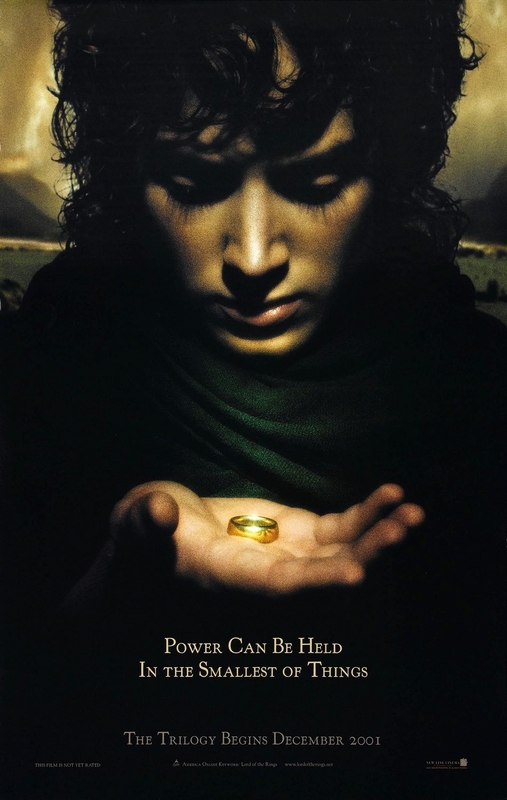 Seeing how powerfully Jackson develops details like the character of Gandalf, and the lived-in look of the Shire, I realized how bland and mediocre most fantasy movies really are, even those that audiences and critics habitually over-praise. I won’t be the first one to say this — but this really shows where Star Wars and the many big screen fantasies that mimic it are missing the point. Even with vast sums of money and cutting-edge special effects, Peter Jackson has made this a character-driven drama, and gives us intimate close-ups of each personality, so we can see the difference between happiness and joy, between fear and dread. 1. Ian McKellen’s performance as Gandalf seemed flawless, from the gleam in his eye to the ferocity of his temper tantrums. There are moments, especially in the Shire, when we learn what truly delights him, and his joy is palpable. There are moments of realization and decision in which McKellen gives Gandalf expressions of deep sadness, and it breaks the heart. I could feel the burden upon him, the pain of realizing that the Shire, which he loves, and the Hobbits that he adores, would be wounded by the coming events, and that he is almost powerless to prevent it. 2. Even though his scenes are few and fleeting, Ian Holm demonstrates again that he is one of the greatest actors of all-time. His performance as Bilbo Baggins brings Tolkien’s beloved hero perfectly to life. Two of the four times this movie broke my heart with its beauty and right-ness, it was because of Holm’s brilliant work. In early scenes he has to give up the ring to Gandalf, and when he does, the sacrifice is so brave and so difficult that he brought tears to my eyes. Later, when he has the opportunity to see the ring and perhaps touch it again, he reacts like a recovering alcoholic who takes a sip of whiskey — the old compulsion rises up in a surge of evil that is so frightening that we realize just how deeply wounded Bilbo has been. In his naiveté, he was sucked into the power of the Ring, and he will never fully heal. He will carry those internal scars and weaknesses the rest of his days. When Bilbo turns away from Frodo in shame at his own greed, he shakes with grief. And so did I. How can I say this plainly…? I love Bilbo Baggins. He is the character in all of literature I care about the most. And it kills me to see his woundedness so beautifully portrayed. 3. Sean Bean’s performance as Boromir, and the extra dialogue written for his character, actually improve on Tolkien’s Boromir, making him a more engaging character, one we fear and love at the same time. In the final scenes of the film, a good scene in the book becomes a transcendent work of cinema. 4. Sam and Frodo are perfectly played by Sean Astin and Elijah Wood. Elijah has the tougher job — Frodo is not merely a cipher, like Harry Potter is. Frodo has to choose to do what he is doing, while Harry Potter just wanders into and out of scenes with wide eyes and a smile. 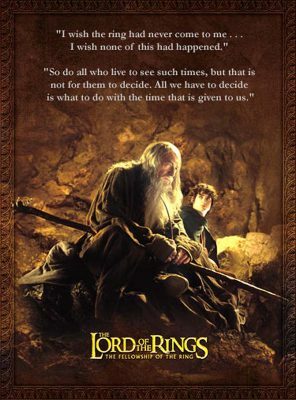 Frodo has to choose, every moment, to go forward, to endure, to carry a burden unimaginable even to great men. Wood gives us convincing, simple-minded conviction… he will go forward against all odds, even if it kills him, because, well, it’s the right thing to do. Jackson is right to make central one of Gandalf’s charges to Frodo: “All we have to decide is what to do with the time that is given us.” Elijah Wood’s furrowed brow and careful line delivery convinces me that he is willing to carry this thing to the bitter end. Sean Astin, as Sam, gives us the perfect picture of friendship. He’s naïve, but determined to remain loyal and loving. 5. The rest of the hobbits are perfectly childlike. I wish we had seen more of Merry and Pippin — they’re reduced to comic relief here — but I know that we will in the coming chapters. 6. The fact that Arwen replaces Glorfindel, and other such substitutions, happen so we have a chance to actually get to know some of the characters, instead of being introduced to too many in an already-crowded three-hour span. I’d rather have some insight into Arwen than catch fleeting glimpses of Arwen and Glorfindel. It’s good for the movie, but Tolkien’s work was right for the book. 7. What did I think of Liv Tyler as Arwen? Many have been disappointed with her, but I thought she was impressive, giving us an interesting, attractive, engaging character, and helping us understand Aragorn better along the way. The romance doesn’t inspire us because the movie doesn’t have enough time to give us any history with the lovers; thus we have to take them at their word. Besides, there’s much more to come. 8. The Ringwraiths and the Balrog are perfectly terrifying. The battle with the Stone Troll in the Mines of Moria, while not a significant moment in the book, is brilliantly expanded here to become one of the big screen’s most riveting action scenes. Look how far we’ve come since Luke Skywalker fought the Rancor in Return of the Jedi. And I think the scene on the bridge at Khazad-dum is the single most spectacular confrontation of good and evil in the history of movie-making. Ian McKellen deserves an Oscar for how he handles this scene. 9. Peter Jackson’s adventure has a distinctly different style from Spielberg/Lucas-brand adventures. Viewers are not invited to enjoy the battles the way we gasp and thrill at Star Wars shootouts. There’s real fear and desperation in the conflict. We experience frightening pursuit and frenzied battles just the way the adventurers themselves do … as sudden, chaotic, life-threatening crises. No time for cocky movie-star nonchalance here. Aragorn, played by Viggo Mortensen, isn’t a wisecracking Han Solo; he’s the kind of guy you’d choose to defend you if the fate of your family, your nation, and a natural paradise were on the line. 10. The effects are standard-setting; Jackson and WETA Studios have stolen the torch from Lucas and ILM with this awe-inspiring work. But some sequences are clearly stronger than others. (See the five complaints below.) Fortunately, New Zealand’s natural beauty makes the argument for Middle Earth’s goodness; it’s the film’s finest special effect of all. 11. The score by Howard Shore is the finest I’ve heard in years. He does what John Williams used to do… concoct rich, memorable themes, but weave them into a symphony that is more than just a pile of motifs. What is more, he gives these themes an age-old weight, even borrowing one from an old British melody called “Blessed Land”, which many of us know as the tune for the appropriate hymn “This Is My Father’s World”. Great stuff, both in the movie and played separately, a soundtrack that underlines the film’s virtues instead of dominating them. Could the film have been better? On several counts, yes. 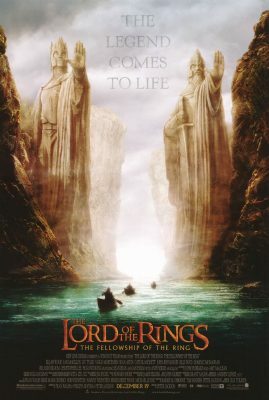 Tolkien once said of movie adaptations, “The failure of poor films is often precisely in exaggeration, and in the intrusion of unwarranted matter owing to not perceiving where the core of the original lies.” Jackson has admirably and efficiently streamlined the story, while honoring the book’s “core.” This is his interpretation of Tolkien’s romance, just as Arthurian legend has been interpreted by T. H. White, Thomas Malory, Steven Lawhead, and Monty Python. Of course it is painful for those who love the books to see some of their favorite chapters skipped. But if the film had included all of Fellowship’s beloved events-Tom Bombadil, the Barrow Wight, Bilbo’s songs and Frodo’s dance-fans would have nodded knowingly, but newcomers would have struggled to keep up with all of the names and information being thrown at them. As moviegoers are drawn to the book and its sequels, those gaps will be filled. Having said that, I still take issue with several aspects of the film. 1. The movie’s biggest problem is its pacing. Jackson moves extremely fast, trying to include as many scenes as possible. This robs us of an accurate sense of time passing-in the books this journey takes months, but onscreen it feels like a few desperate days. We don’t have time to get familiar with important places, like the Inn at Bree. When the Hobbits grimace at having to leave the Shire or Rivendell, I sympathize. This is the kind of thing that could be fixed in an enhanced DVD format and a longer film. 2. We also miss out on the complexity of many central characters — Hobbits Merry and Pippin, and Gimli the Dwarf, are reduced to sidekicks with the occasional zinger. The movie repeats information about the early history of the One Ring so many times — that time might have been better served by giving us more character-building moments. 3. Why did Jackson opt to edit out the crucial subplot about Gimli being blindfolded in Lothlorien? That episode, which culminates in his gaining an appreciation of elves, is one of the epic’s pivotal moments. In fact, the gifts Galadriel offers the Fellowship are essential moments that influence later events. The removal of other scenes leaves the main storyline almost unfazed, but this is one of the epic’s most inspiring and significant events. It affects the way we see the involvement of both Legolas and Gimli for the rest of the saga. Perhaps it will be told in flashback in the sequel? 4. When the Lady Galadriel is tempted to seize absolute power, we’re given a vision of what she might become-and frankly, it looked like a bad cartoon. Why did we need a big special effect? Cate Blanchett is an excellent actress; I have no doubt she could have made those lines stick. 5. Why did Jackson choose to have Saruman be the cause of the storm on Caradhras? Tolkien’s world is alive with fascinating villains, and the true cause of that storm is a more exciting and interesting story. Saruman looks like a silly Dungeons and Dragons wizard, calling up the storm. It’s the only point when the movie falls out of high-style into cornball and cliché. Minor quibbles aside, I’d venture to guess that Tolkien would have been content, even pleased with most of the film’s embellishments and abbreviations. Scenes of orcs tearing down trees to build war machines got right to the heart of Tolkien’s earliest childhood memories… of men cutting down willow trees for no good reason, a foreshadowing of the advance of industrialism and the destruction of his idyllic childhood home in Sarehole. And he would have gasped at the beauty of the New Zealand landscapes designed by the greatest set designer in movie history… the Maker whom Tolkien served. Tolkien confided to his publisher in 1957: “I should welcome the idea of a … motion picture, with all the risk of vulgarization; and that quite apart from the glint of money, though on the brink of retirement that is not an unpleasant possibility.” He anticipated that a movie would oversimplify… vulgarize… the work. But it would draw many to read his works, in the end. I think this would have pleased him above all. But the greatest thing about The Fellowship of the Ring is this: Almost every reviewer that confessed ignorance about the books quickly added that the movie has compelled them to go and start reading. There they will appreciate just how much richer the story actually is. For that, I am very very grateful. Even though Tolkien regretted the loss of his privacy in the rising tide of his fame, he once said, “It remains an unfailing delight to me to find my own belief justified: that the ‘fairy-story’ is really an adult genre, and one for which a starving audience exists.” Longtime fans and newcomers alike should be grateful that this, the grandest of fairy tales, has fallen into Peter Jackson’s capable hands. New Line Home Video has now delivered a package that will be on a lot of Christmas wish-lists. The Lord of the Rings: The Fellowship of the Ring — Special Extended DVD Edition — four full discs of information and entertainment — comes in a handsome regular edition and an even more elaborate collector’s gift set. But it is not just a piece of holiday hype. 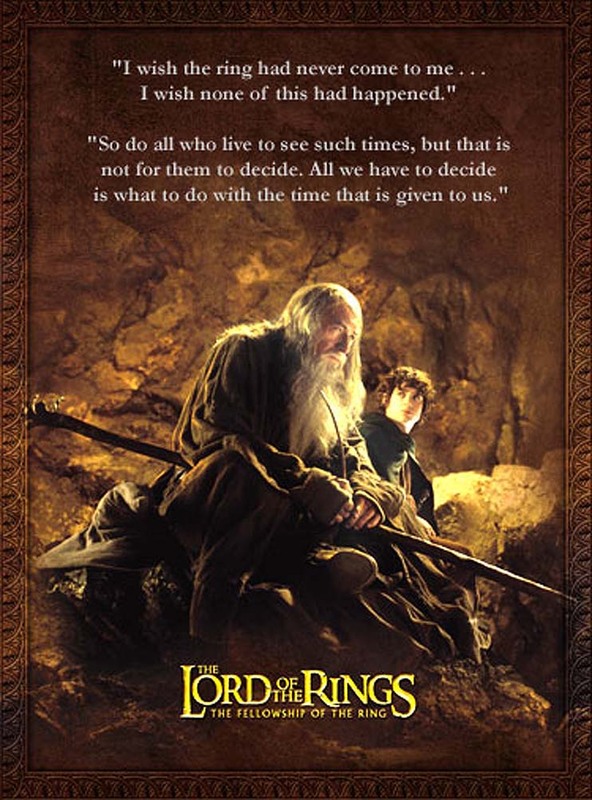 Ian McKellen begins the collection’s feature-length cast commentary by pointing out that over the credits, “It’s doesn’t say A Peter Jackson Film. It’s Tolkien’s Lord of the Rings.” True enough. But having said that, it is worth noting that Jackson and his creative team have ambitiously improved on their own theatrical release, filling gaps and offering pleasant surprises at regular intervals. Fans of Tolkien’s classic series will be delighted to see several episodes that were missing from the big screen version hereby restored, enhancing a film already rich in exquisite detail. There are many brief but important additions spliced into existing scenes: Isildur’s flight from the orcs; sights along the road as Frodo and Sam depart the Shire; Aragorn’s slow establishment of the hobbits’ trust; and glimpses of ancient wonders within the dwarf mines of Moria. More casual exchanges between the heroes further develop their characters and endear us to them — like Sam’s efforts to reassure and support Frodo at every turn. But far more elaborate and rewarding are the extensions to our tours of the Shire, of Rivendell, and Lothlorien. We get a more leisurely, informative, and comical introduction to hobbit lifestyles, and the camera lingers on more of the astonishing set design — village design, really — which was cultivated so it would seem these cultures existed for centuries before the filmmakers arrived. Thus, when Gandalf warns that Sauron threatens all the lands of Middle Earth, we now know more and appreciate better what beauty, what joys, what traditions the enemy may well destroy in upcoming episodes. Tolkien fans should proceed with caution. There is such a wealth of information here, enough to make your loved ones wonder what has come over you as you sit exploring its resources for hours on end. Exhibit B: A montage of cast and crew telling their own personal stories of discovering Tolkien’s work, which edition they first enjoyed, and the impact the stories had on them. 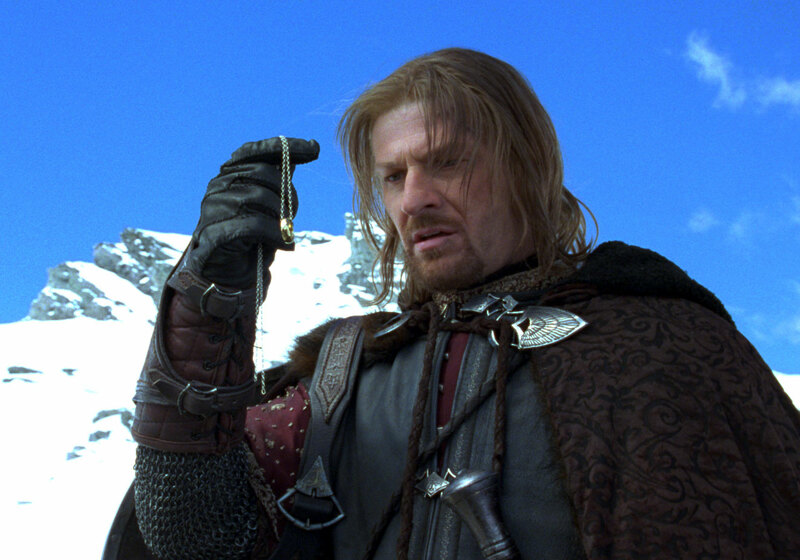 Actor Sean Bean’s enthusiastic participation is a testament to his deep love for the books. Jackson and his screenwriters demonstrate their own passion for honoring Tolkien, and they give compelling arguments to quiet those who protested the abandonment of beloved episodes like Tom Bombadil and the Old Forest. And there is so much more. We are treated to a story almost as dramatic as Frodo’s quest: Peter Jackson’s quest to get the film made, against all odds. The director and his screenwriters discuss how the project survived Miramax’s attempt to compress it into one movie, and how Jackson “trotted off to Hollywood” and called an executive at New Line, only to have them respond with a three-film option. Viewers then can browse through early sketches, set designs, and even some storyboards for scenes that were never filmed. One of my favorite features is the footage of cast and crew celebrating at various premieres. Best of all is the party thrown in Wellington, New Zealand, where a whole community came together to celebrate the fruition of a true team effort. I can’t think of a better way for moviegoers to prepare for the opening of The Two Towers next month than to settle in with this sprawling, beautifully realized work. No home video package has ever offered such an in-depth look at the creative process or the way excellent storytelling can influence an audience. Published Jan 5, 2002 in Looking Closer. Notes: This first draft of this review was published at The Phantom Tollbooth on January 5, 2002. It was soon revised and re-published at Looking Closer.